1) Bedrest can delay the onset of preeclampsia, or at least make your case progress more slowly. Nope; trials have shown no strong evidence of benefit. But bedrest is known to raise your risk of depression, bone loss, and blood clots. Follow your doctor’s advice to reduce activity if you've been diagnosed, and ask for clarification since strict bedrest may do more harm than good. According to the American College of Obstetrics and Gynecologists, "For women with gestational hypertension or preeclampsia without severe features, it is suggested that strict bedrest *not* be prescribed." 2) Only overweight women get preeclampsia. That would mean thin women were safe from preeclampsia, but this is not the case. Thin, active women get preeclampsia and HELLP syndrome, too. However, obesity and excessive weight gain during pregnancy does raise your risk above the baseline risk of all pregnancies. 3) Preeclampsia only happens in first pregnancies. Mostly, not only. If you've had preeclampsia, you're considered at high risk to get it again. Sometimes it appears for the first time in a later pregnancy, especially if you've developed an autoimmune condition between pregnancies. All pregnancies are at risk. 4) If you eat right, you won't get preeclampsia. There's no difference in the diets of women who develop preeclampsia and women who don't – which makes sense, because preeclampsia is related to initial implantation of the placenta, and diet in the rest of the pregnancy isn't going to change that. So far, big trials of diet changes have found no effect on the rate of preeclampsia. Eating healthy during pregnancy is very important for the health of you and your baby, but there's no evidence it affects this complex condition. Try "as common as breast cancer," even if you've never heard of preeclampsia. Worldwide, preeclampsia strikes as many as one in every 12 pregnancies (or 8%). 6) Preeclampsia only happens right before term. 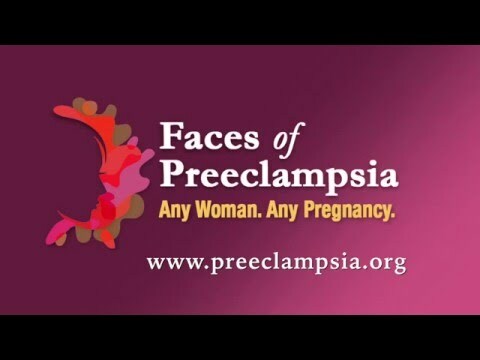 Preeclampsia can appear any time from the second trimester to six weeks postpartum. Yes, you can get preeclampsia after you've had the baby, so call your healthcare provider about that unrelenting headache postpartum. And yes, you can get preeclampsia as early as 20 weeks’ gestation. 7) Pregnant women shouldn't be informed about the risk of getting preeclampsia, because it will just stress them out. Pregnant women deserve knowledge of and resources related to this condition. Knowledge is power. 8) Preeclampsia doesn't affect the baby. Many babies, especially those who don’t have to be delivered early, may not suffer any problems from preeclampsia. However, preeclampsia can affect the baby’s growth, put extra stress on the baby during labor, or even cause the baby to die. The mother may suffer an abruption, where the placenta separates from the wall of the uterus before the baby is born, putting the baby’s life in immediate danger. Some babies will need to be delivered early and are at risk for incomplete lung development and potential long-term health problems. 9) Nausea and vomiting are normal, even later in pregnancy. This can be a sign of elevated liver enzymes – a symptom of HELLP syndrome, a severe form of preeclampsia. If you experience nausea or vomiting later in your pregnancy, give your healthcare provider a call; you may need blood work to rule out illness. 10) Delivery is the cure for preeclampsia. Delivery starts the healing process because it removes the placental culprit. That said, you can get *worse* postpartum, because the placenta has dumped chemical proteins into your system and your body has to mop them up. Women have had seizures as late as several weeks postpartum, which can be life-threatening. Watching for and reporting symptoms of severe headache, visual disturbances, and breathlessness after delivery is important for the safety of new moms.